Vancouver is certainly known for being one of the most livable cities in the world! But did you also know these cool facts about this vibrant metropolis? Show off your knowledge about the city, and learn what one of our students had to say about his experience here as well! 1. Vancouver wasn’t always called Vancouver! Actually, this city has seen quite a few different names: from the town of Gastown, to Granville, Burrard Inlet… In the end, it was named after Captain George Vancouver, a British expeditor. 3. 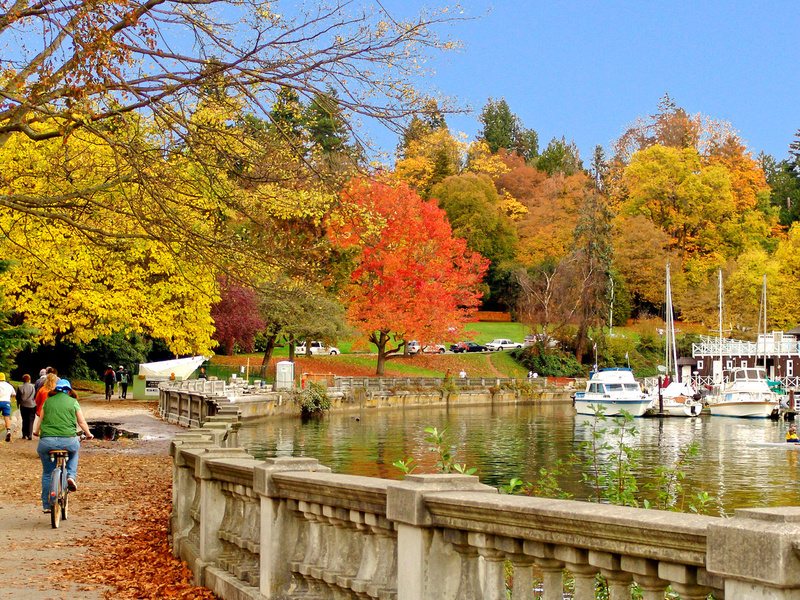 Did you know that Stanley Park is actually 10% bigger than New York’s Central Park? Surrounded by Vancouver Harbour and English Bay waters, the 8km long seawall is frequented regularly by locals and tourists alike. The eco-activist group was founded in Vancouver in 1971. No wonder why the people of Vancouver are so environmentally conscious! BC Place, the soccer stadium, has the largest retractable roof in the world with 7500 sq. meters of sky! And Kits Pool is Canada’s longest saltwater pool. It’s 137.5 meters long, the equivalent of almost 3 Olympic Pools! Within a 30 minutes’ drive or an hour by transit, you can enjoy Grouse Mountain, Mt Seymour or Cypress Mountain. For the adrenaline seekers, activities range from skiing in winter, to downhill mountain biking in summer. Those who would rather do something more relaxed can go snowshoeing, hiking, or just admire Vancouver from the top. It is one of the bridges connecting the downtown peninsula with North and West Vancouver. Since Guinness had bought land in West Vancouver, they needed to connect downtown with the new constructions in the north shore. 8. California Roll was Invented Here! Calling all Japanese food lovers! Despite its name, the California Roll was invented in Vancouver by Chef Hidekazu Tojo. This roll can be found in almost all of the 600+ sushi spots around Metro Vancouver. Ryan Reynolds, Seth Rogen, Carly Rae Jepsen, Michael Bublé… These are just a few of the celebrities who are Vancouver born and raised. You may also come across many other celebrities that are in town to film movies or series, like this one! This tourist attraction, located on top of Grouse Mountain, is the only wind turbine in the world that is operational AND has a viewing platform. Come discover and experience Vancouver through one of our programs! If you are heading to Montreal, be sure to check some fun facts here too.